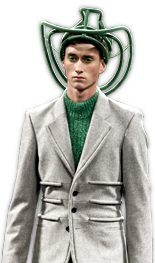 If someone would have said Armani showed his pre-fall collection today, we would have believed that person. 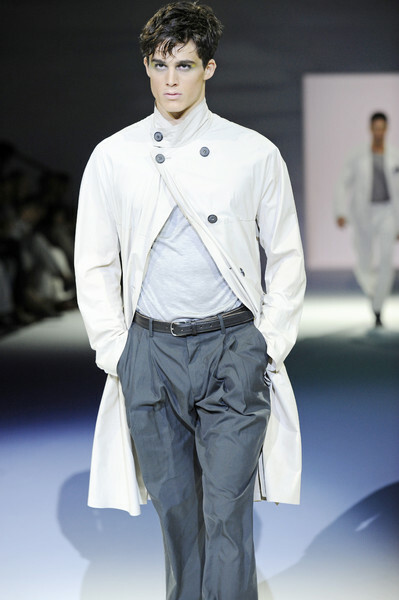 The summer inspiration was hard to find in the Giorgio Armani show. Almost every look existed of a pair of long pants and a jacket. No shorts, no Tees, no airy fabrics. Besides Giorgio chose to use very dark colors like deep blue and black, only once in a while alternated by a hint of light gray, green or yellow. No summery prints or colorful excesses, just one or two stripes and checks. Many of the models did wear sunglasses (with circular and yellow glasses) but that was not enough to give us a feeling of summer. Jackets really were the hot item of the collection, double breasted, waisted, more sportive, leather and linen. They had striking buttons and sometimes a handkerchief popped out of the front pocket. Another item Giorgio introduced was the waistcoat. Maybe that was the reason he invited Ricky Martin to the show. Waistcoats and tight Tees have become this singer’s signature throughout the years. 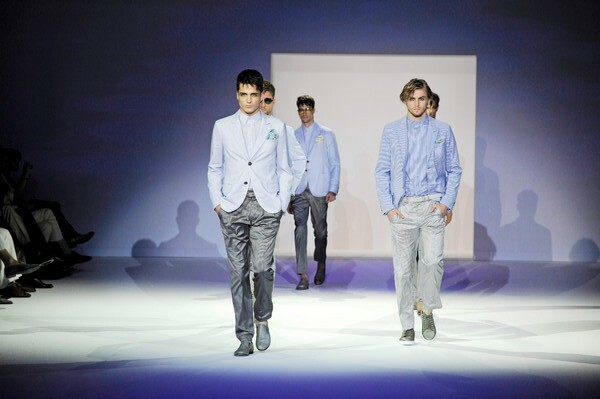 The Armani models all walked with their hands in their casual trousers. The loose pleated trousers didn’t look spectacular, yet seemed very comfy. 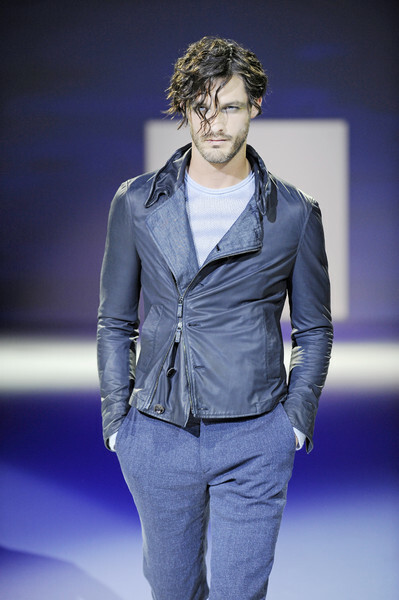 And that’s exactly how we would describe this Giorgio Armani collection. 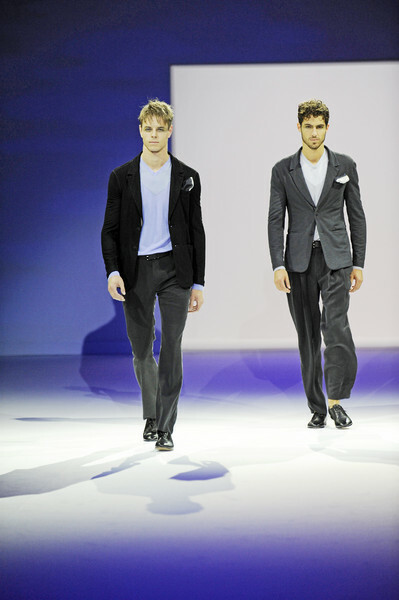 As a good mix of comfortable, wearable clothes with some amazing well-tailored jackets. It’s just that for summer we would have loved to see a little bit more light colors.